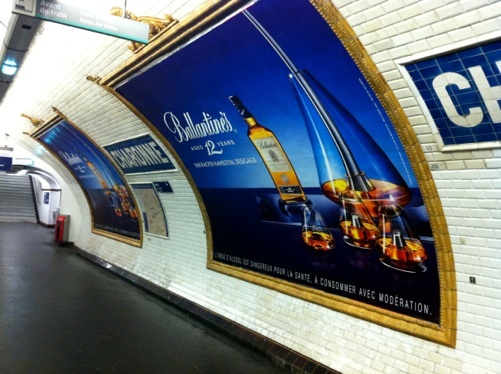 L’Art de le Degustation designed for Ballantine’s Whisky 12yo by KACPER HAMILTON was chosen for Ballantine’s Winter 2012 France Campaign, hence is published in many Parisian magazines, and placed in billboards in Paris, Paris Metro & all over France. L’Art de la Degustation (The Art of Tasting) is about reinventing the ritual of drinking whisky. The design was inspired by the concepts of equilibrium and the traditional process of distilling whisky using an alambic. For the first time, zai will be present at the international design exhibition blickfang. Alongside numerous exponents of the design world, zai will present its exceptional products from November 23 to 25, 2012 in Zurich. First and foremost with their new products HIGO Tool and CORE Axe designed by KACPER HAMILTON. With their exceptional skis, the Swiss manufacturer zai from Disentis regularly attracts attention from the ski industry around the world. Together with Kacper Hamilton, two new exceptional products have been developed, which can proudly match up to zai’s ski and golf products. Innovation and exclusivity are in great demand at the design exhibition blickfang, and this is why zai has decided to take part at the exhibition for the first time. zai will present products from their ski and golf range, but also the brand-new products zai HIGO Tool and zai CORE Axe, which at the moment only exist as prototypes, but will soon go on sale. The design exhibition blickfang takes place at the Kongresshaus in Zurich from November 23 to 25, 2012. EXQUIS, a collection of three unique vases designed by KACPER HAMILTON to celebrate Baccarat’s ancestry, was published in Blueprint Magazine within Blueprint’s selection of London Design Festival 2012. London Design Festival 2012 Roundup Issue 321, December 2012. Kacper Hamilton has designed a collection of unique vases for Baccarat inspired by the rich history of Baccarat. Each vase is made using unique various crystal cuts and decorative styles from centuries apart, creating highly contrasting and bold pieces! Please come and visit us at The Sorting Office, 21-31 New Oxford Street. London, WC1A 1BA, 19th-23rd September 2012. Our new work for BACCARAT CRYSTAL will be launched during Paris Design Week 2012 at Maison Baccarat – a unique private mansion owned by famous Marie-Laure de Noailles between the years 1902 and 1971 who gave magical parties there and metamorphosed this magnificent place of pomp and tradition into a home dedicated to painters, writers and musicians. KACPER HAMILTON designed EXQUIS collection on the principle of the cadavre exquis, a series of three vases using various cuts and decors from the manufacture’s archive. DEZEEN features ZAI CORE AXE as the most commented, popular and viewed story of the week. Higo Tool was featured alongside the best designs of the year selected by Wallpaper* Magazine for their Design Directory July 2012. Kacper Hamilton will be exhibiting ZAI CORE AXE & HIGO TOOL with ECAL at “Too Cool For School’ during Salone Internazionale del Mobile Milano 2012. “Too Cool For School” presents projects in Industrial and Product Design, Photography, Graphic Design and Media & Interaction Design. Please come and visit us between 17.04.2012 and 22.04.2012 at Spazio Orso 16, Milan. Cocktail party Wednesday 18 April 2012, 6pm–9pm Exhibition 17–22 April, 10.30am–8.30pm.